he 5:30pm Lucky Streak Greyhound was nearly empty yesterday as it pulled out of Port Authority Bus Terminal on its way to Atlantic City. Years ago, the service would have been full of gamblers from New York, drawn to the blinkering promise of Atlantic City casinos. It made stops at Bally’s, Caesars, Showboat, Tropicana, Trump Taj Majal and Trump Plaza, disgorging those unlucky enough to count themselves lucky. On the last night, the final hurrah, of the Trump Plaza, a gargantuan boardwalk staple since it opened in 1984, the Lucky Streak ferried only eight souls, rattling in their seats like spare change. The casino would cease operation at six the following morning, and approximately 1,000 people would never show up for work there again. It is the fourth Atlantic City casino to shut down this year amid plummeting revenue: The Atlantic Club folded its hand in January; Showboat sunk in August; and Revel, another of the big time casinos and the newest, died at only two years old after an infancy of neglect. There is talk that Trump Taj Mahal might shut down soon. Any of my fellow passengers hoping to spend the night at the Trump Plaza would be disappointed — its 612-room hotel was already closed. On the last night, the final hurrah, of the Trump Plaza, a gargantuan boardwalk staple since it opened in 1984, the Lucky Streak ferried only eight souls, rattling in their seats like spare change. Tony, last name “From Brooklyn”, a heavy set man with cherubic face, committed mullet and a number 80 Jets jersey, was one of the eight southbound shades. He has been going to Atlantic City since 1978. 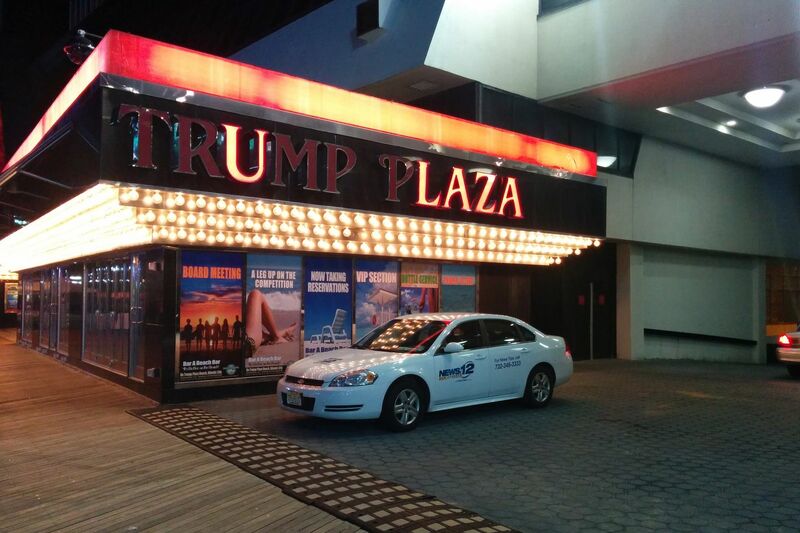 “I come down about 45 times a year,” he said, shrugging, “I guess I like the action.” He’d been to the Trump Plaza but wasn’t mourning its loss. “I never liked it,” he said, “the casino is upstairs. You have to take an escalator!” No, Tony preferred Bally’s. “They’ve got that new restaurant by Guy Ferrara. The prices are high but the food is outrageous.” Across the aisle from Tony, a woman in a pink velour jump suit played Candy Crush and sang loudly along to the bachata on her headphones. “Mi corazon,” she warbled until the bus driver, responding to an elderly Pinoy man yelling “Shut up! Shut up! Shut up!” crossly took to the PA: “No singing. You can sing when you get to the casinos.” But of course she couldn’t hear him. She was singing too loudly. When we got to Atlantic City, the silhouette of the Trump Plaza was all but invisible in the darkness. 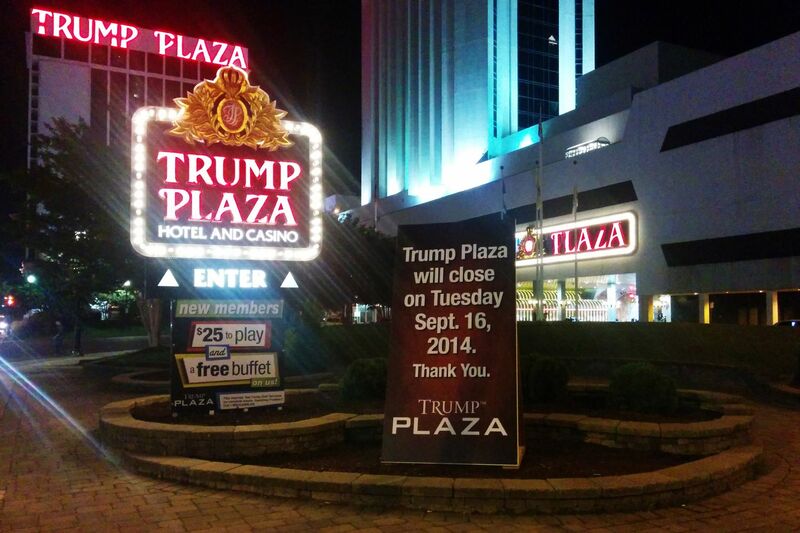 Instead, the once bombastically bright Trump Plaza signs floated like disembodied vowels, disemboweled bodies. Their letters had been allowed to burn out. One read _ _ U _ _ _laza, and another _rump Plaza. It was a Wheel of Fortune puzzle sliding into pathos. Most of the blackjack, poker and baccarat tables had neither dealers nor players. The green felt was worn but well-cared for, the baccarat wheel encased in plastic. But at one end, close to the now closed Trump One service center, there was an enclave of survivors. Many of the dealers had traded their handsome white shirts with gold cuffs and collars for Philadelphia Eagles jerseys. The Eagles game played, alongside a video of INXS’s Need You Tonight, on multiple TV screens. Before Tina was a stack of worn out Trump Plaza chips, all perfectly smooth and slightly sticky. By tomorrow they’d be worthless plastic. But tonight they still have value. Tina, like many of the other workers, doesn’t know what she’ll do after Tuesday night, when many former employees will be meeting at The Hi-Point Pub in Absecon, NJ, to hold a sort of wake for the Plaza. “You’ll hear some stories there,” she said. Before Tina was a stack of worn out Trump Plaza chips, all perfectly smooth and slightly sticky. By tomorrow they’d be worthless plastic. By far the most lively area in the whole place was Jezebel’s, a small lounge in the back of the casino floor. 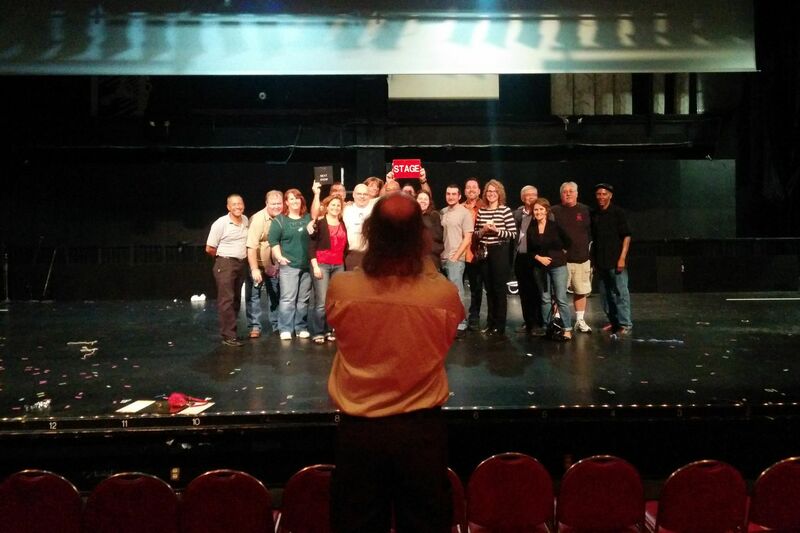 There was a reunion underway of the old stage crew. Jules Lauve III, who used to run the 700-seat theatre, reminisced about the days when Sammy Davis Jr. packed in the crowds. “It was the creme de la creme,” said Lauve, a man with kindly grey eyes that twinkled behind a thick pair of glasses. Lauve had long moved on from the Trump Plaza — he now had a consulting firm in South Norwalk, Conn., but he had come down to see old friends. Jules turned to walk back to his hotel room at Caesars. leaving behind the stage he managed, and the family he loved. He was once a big man at a big casino but now the casino was closed and Jules, as he made way home, grew smaller and smaller against the curtain of the night sky.